Can I Use Mayo Instead of Eggs to Make a Cake? Is There a Substitute for Eggs in Baking a Yellow Box Cake? Cakes are often not as complicated as they might look. 3 What if You Forget to Put Eggs Into Your Baking Mixes? 4 Can I Use Mayo Instead of Eggs to Make a Cake? Baking a cake can be as simple as opening a boxed mix and adding eggs and oil, or as complicated as separating eggs and weighing dry ingredients down to the gram to ensure the proper chemical reactions. Whichever way you choose, there are some basic procedures that you need to do in a specific order for the process to flow smoothly and the cake to turn out right. Once you have those basics down, you can keep it as simple, or get as complicated, as you prefer. Read the recipe before doing anything to make sure that you understand the steps. You also want to ensure that you have all of the ingredients and utensils you need. Preheat your oven to the temperature specified by your recipe. This is important to ensure that your cake bakes at the proper temperature for the correct amount of time. 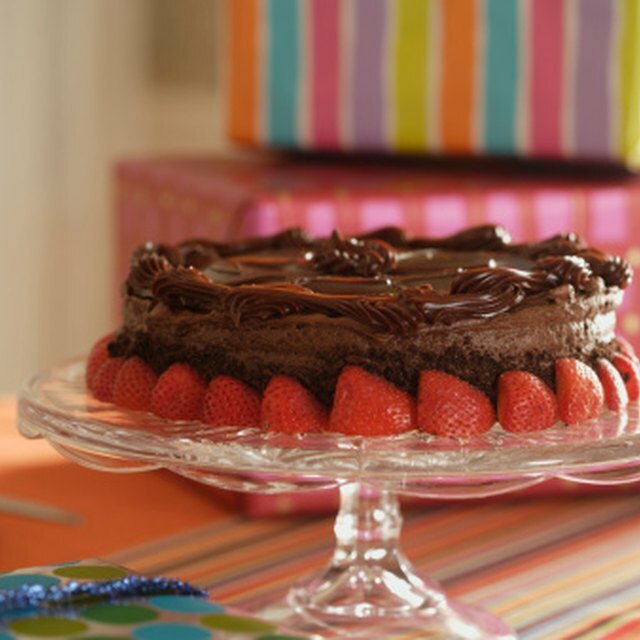 Grease your cake pans with butter or nonstick cooking spray. Coat the greased pans with either a light dusting of flour or, if you’re using a boxed mix, use a tiny bit of the dry mix. This helps keep the cake from sticking to the pan. Measure out your dry ingredients according to the recipe. Use measuring spoons rather than regular flatware to make sure that your amounts are correct. Measure your wet ingredients and mix them as instructed in your recipe. Add the wet ingredients to the dry ones. You typically do this slowly to ensure that they mix well. If your recipe indicates that you need to add the wet ingredients in a certain order, do not deviate from it. Certain chemical reactions depend on certain ingredients combining at a specific point in the recipe. Mix the wet and dry ingredients together using a wooden spoon, a whisk or an electric mixer. Some batters require gentle handling while others need to have air whipped into them, so use the tool indicated in your recipe. Pour the batter into your greased and floured cake pans and set them on a rack in the center of the oven. Use a spatula to scrape the sides and bottom of the bowl to get all of the batter out. Set a timer for the time noted in the recipe or mix instructions. Do not open the door to check on the cake until the timer goes off. Insert a toothpick into the thickest part of the cake. 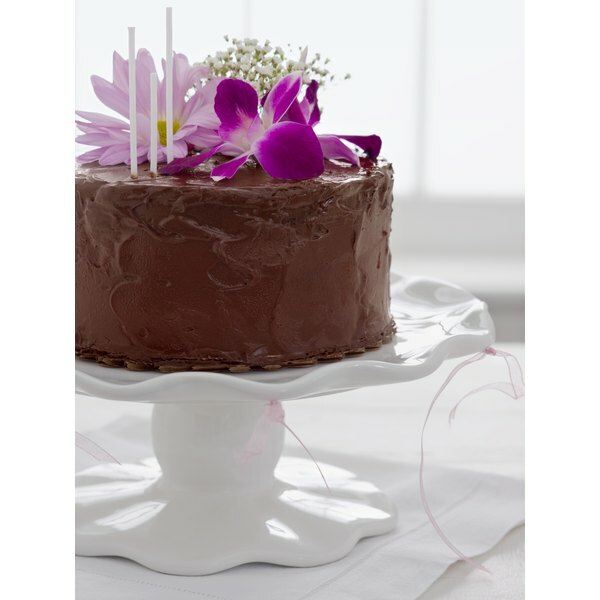 Most cakes are done when the toothpick has no batter on it when you pull it back out. This is not true for all cakes, so read and follow the instructions carefully. Set the hot cake pans on racks so that air can circulate underneath them, helping them cool more quickly. Never start a cake in a cold oven because the slow build-up of heat can affect the way it rises. Can You Use Medium Eggs Instead of Large Eggs When Baking? What Does Jicama Taste Like & What Is It Used For? Where Does the Tenderloin Come From?